The benefit to custom home building is that you get to design and select nearly every single element that comprises your home. Make the most of the custom home building process and do not let the vast amount of options and decisions overwhelm you. Work with your custom home builder to find the custom options that are right for you and your family. When you decide that custom home building is right for you and your family, you give yourself the ability to turn a dream into reality. The decision to select custom home building is a significant one. However, it is only the first in a long succession of decisions, options and considerations that come with the custom home building process. Together with your designer and builder you will have a variety of decisions to make such as what building materials to use and how to landscape your yard. Selecting the right custom home builder can give you peace of mind that you will be making informed decisions based on expert knowledge and advice that comes with years of experience. One of the larger decisions that comes with custom home building is deciding what materials to use. Many people find that they do not know enough about building materials to feel comfortable choosing these items on their own. An experienced builder can walk you through the list of pros and cons to each material. In addition, your builder is able to tell you what materials work best given your location and climate. Green building is a broad term that encompasses everything from site design to water saving plumbing fixtures. Custom home building allows you to choose green materials and enhancements that help save you money and improve the quality of life for your family. This list is not exhaustive and there are other areas of your interior that you can discuss with your builder. Love movies and entertainment? 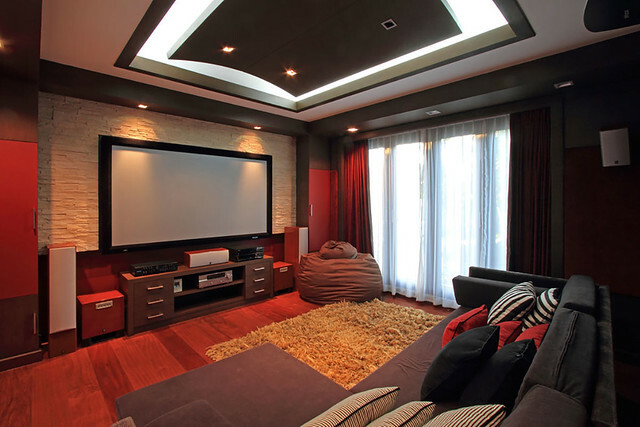 Add a home theater to your home. If fitness is important to you and your family, ask your builder what can be done about building a custom gym in your home. The truth is that anyone can build a house, but it takes someone special to build a home. Let Preston Homes of Texas be your custom home builder and allow us to turn your vision of a dream home into a reality. 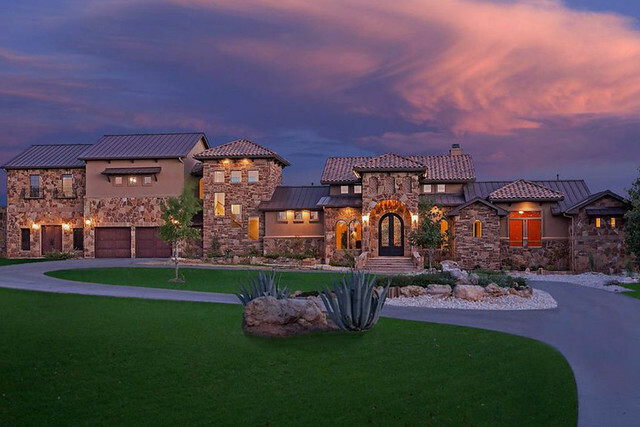 Lake Travis Custom home builders are responsible for turning your dream home into reality. Choosing the best custom home builders ensures professional, high quality results. The search for custom home builders is a critical one as this decision impacts all stages of the custom home building process and, perhaps most importantly to you, the finished product. Before you start interviewing custom home builders or the clients for whom they have previously built homes, it is important that you are aware of your options. The Texas Association of Builders recommends you make a list of all the potential builders in your area. Additionally, you can visit the National Association of Home Builders website and conduct a search for custom home builders in your area. Because this is such a significant and important decision, do not stop at the web search. Contact friends, family and local real estate agents for their custom home builder recommendations. What was the original budget and did your builders help you stay on budget? Were financial transactions handled transparently? Were you made aware of any required schedule changes? How did the builder respond to stressful situations? Was the communication channel clear and were you able to contact your builder when you needed to? If you were to build another custom home, would you work with this builder and the subcontractors again? These questions help give you a general idea of what the entire custom home building process would be like with your chosen builder. If you are able to receive a tour of a home built by the custom home builder you are considering, be sure to inspect the quality of building materials such as the paint used, cabinetry, trimwork and flooring. In addition to contacting former customers, check into the builder’s standing with any local building associations. Check with the Better Business Bureau of Central Texas to see what the builder’s rating is. You may also want to check with state licensing agencies and see if your custom home builder has held any licenses in other states in the previous 5 to 10 years. If so, be sure to do follow-up research on your builder’s standing in their former state. You also want to be aware of any insurance your builder carries so that you are positive that you, and they, are covered during your home building process. As briefly mentioned above, it can be incredibly useful to tour homes that were constructed by your custom home builder. Some custom builders will arrange to set up appointments for prospective clients to tour homes they have built for former clients. If this is not an option, many custom builders also offer tours of furnished or decorated models of homes they have built. When you take the tour, be sure to look at the quality of craftsmanship in the building materials, the overall home construction and the design. Pay attention to how you feel during a tour; it is a good sign if you can imagine you and your family living in that space. The home that you have been dreaming of is possible with the right builder. Let Preston Homes of Texas be that builder. We work closely with clients and limit the number of homes we build each year to ensure you receive the highest quality possible. One of the most rewarding aspects of building Hollows Lake Travis custom homes is helping a family to begin a new chapter in their lives. For the Girard family, Preston Homes of Texas is creating a home that they will be able to treasure for years to come. Preston Homes of Texas has designed this new Hollows Lake Travis Custom Home Project specifically for the Girard family. In the design we have included structurally sound engineering and Energy Star rated materials, resulting in a high-performance home. The new home build site is located at The Hollows Lake Travis. Known for it’s serene, peaceful environment, Lake Travis is a wonderful location for any family. The Girard family has chosen a location surrounded by stunning panoramas, water sports, and outdoor activities. Lake Travis is also serviced by a top ranking school district, perfect for curious kids. As we begin this new home build, we are working with the Girard family to get to know their unique tastes and needs. It is our goal at Preston Homes of Texas to build a home that will allow the Girard family to create countless memories together in a beautiful setting. Preston Homes of Texas will be working closely with the Girard family over the next few months as their dream home becomes a reality. Construction is scheduled to be completed in the Fall of 2014, just in time for the Girard family to enjoy a lovely holiday season in their new home.